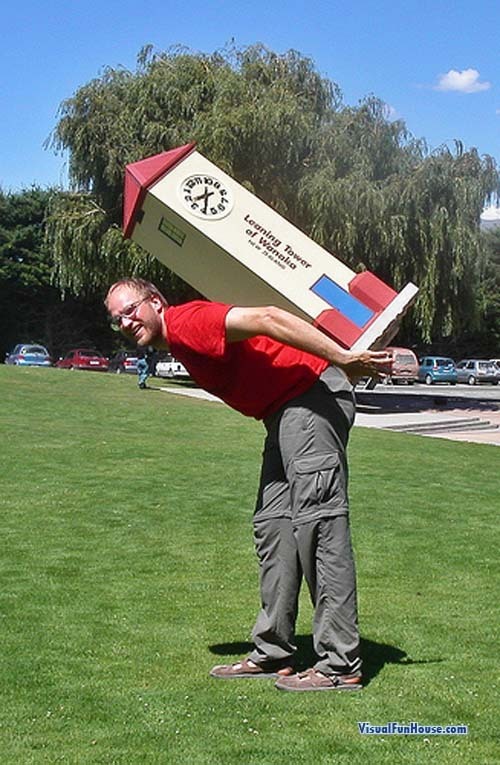 Leaning Tower of Wanaka is part of a display at Puzzling World in New Zealand. Leaning tower optical illusions are usually just that, an optical illusion.. but in the case well the tower isnt actually all that vertical. Puzzeling world offers tuns of great illusions such as ames room, puzzles, a giant maze and tuns of mind games. I cant say I have personally been there yet, but its defiantly on my list! Credit to this great photo goes to mojcek.